I just had a trundle around the garden and thoroughly enjoyed seeing all the gorgeous flowers blooming. 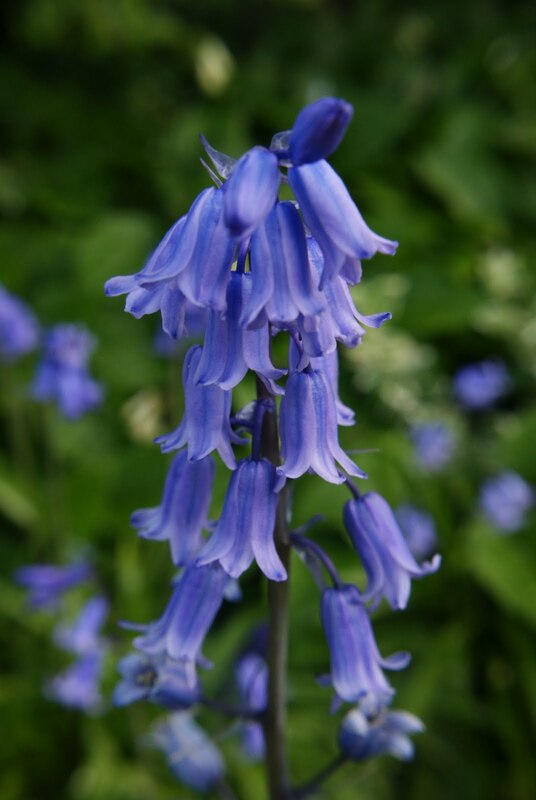 The aquiliegias, forget-me-nots, cornflowers, pansies, bluebells, peonies, coronilla, cowslips, geraniums and aubretia are all out and looking good. The scents from the coronilla and bluebells, are particularly heady. I think I like late May and into June, as the garden definitely looks at it’s best, then. The oriental poppies are budding up and I love to see their blousy fullness and their tissue paper petals. Most of the trees have burst their buds now and that adds to the carpet of greenness. 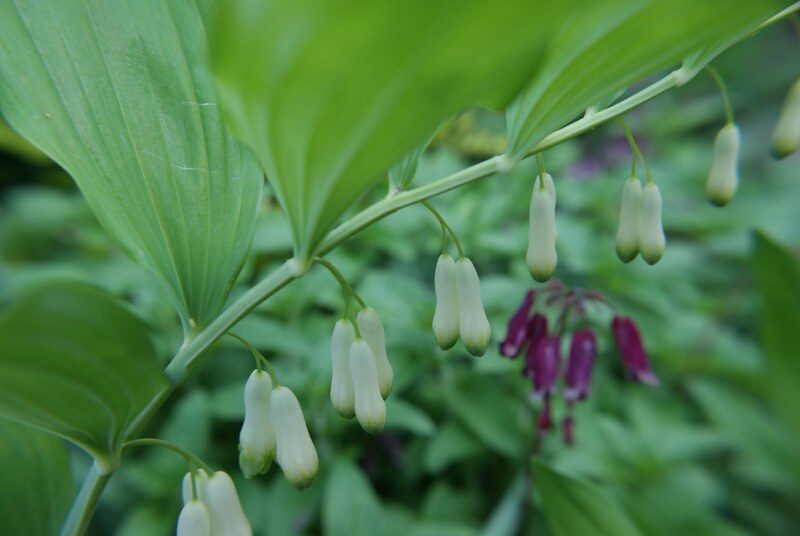 One of my favourite plants is Solomon’s Seal, which is pictured above. 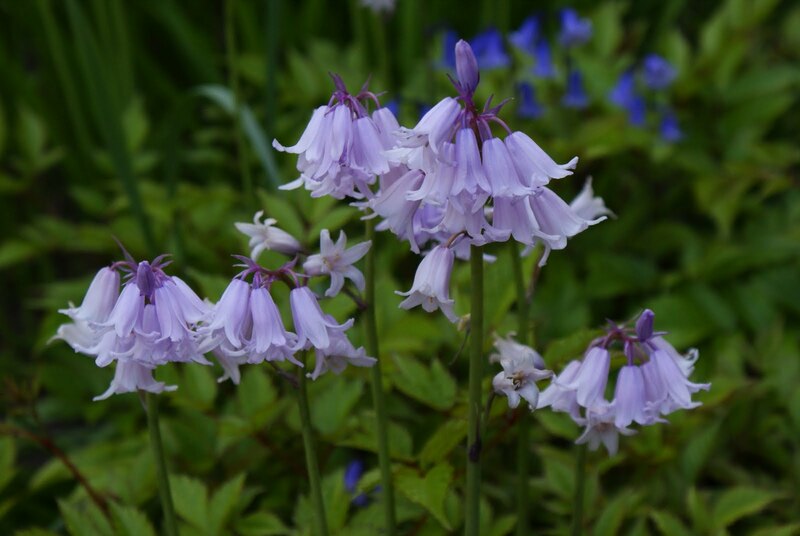 It is delicate and likes to grow up through other plants. It reminds my of the delicacy of Lily-of-the- Valley. I like to take photographs of all these lovely flowers and sometimes catch the odd insect or two.